Home » Our Doctors » Michael D. Cook, O.D. 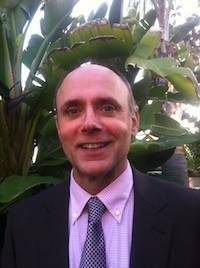 Dr. Michael Cook is California Board Licensed to provide diagnostic and therapeutic pharmaceutical care including glaucoma. He was born in Indiana but has worked and traveled the world. He received his undergraduate degree from Purdue University and his Doctor of Optometry degree from the Indiana University School Of Optometry in 1980. After graduating, Dr. Cook taught optometry and provided patient care domestically and internationally in South Africa, Hong Kong, and England. He has served as Chief Examiner for National Board of Optometry. Dr. Cook is ever seeking challenges; his personal achievements include a black belt in Goju-Kai, certified master scuba diver, and instrument rated private pilot. Dr.Cook specializes in ocular health conditions requiring highly technical contact lenses and computer vision prescriptions; he passionately teaches eye care professionals to fit challenging patients with the latest contact lens technology.